Alexander Calder was born in Philadelphia in 1898. Calder is most famous for inventing the MOBILE which is a balanced sculpture that moves. He also created sculptures that don’t move. They are called STABILES. Calder liked the circus so much that he created his own. The Calder Circus has over 50 moving figures made out of wire, metal and cloth. 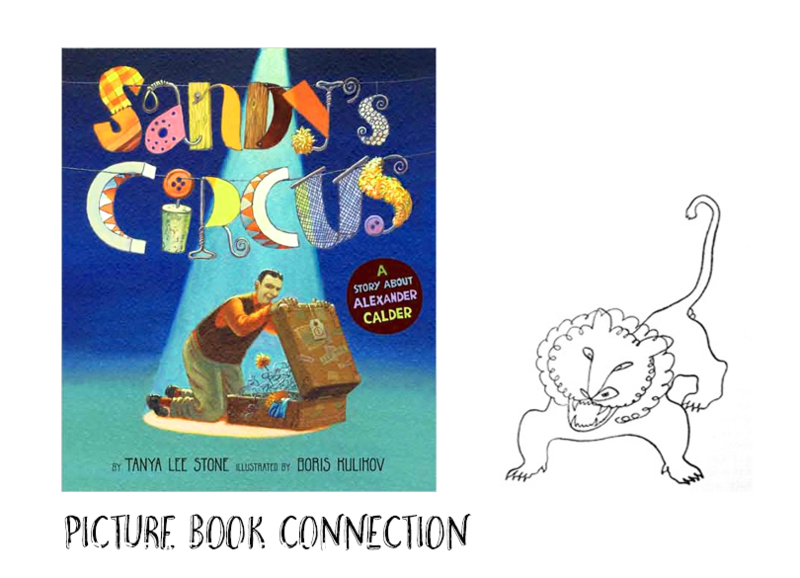 The project starts with reading Sandy’s Circus by Tanya Lee Stone. It’s a great story of how ingenious and creative Calder was from a young age. 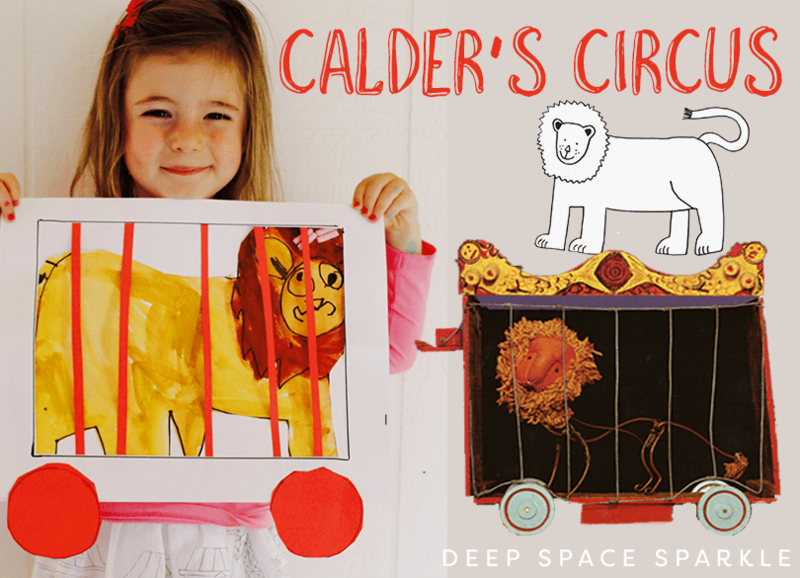 Allow children to identify the different parts of Calder’s Circus and help them identify to what wild animals can do and what circus animals are trained to do. I wondered how my 4 year-old niece would respond to a controlled directed drawing on a playdate with her Aunt. Generally, I reserve these rare opportunities for art exploration. But for a child who loves preschool and is an eager learner, she focused straight away. 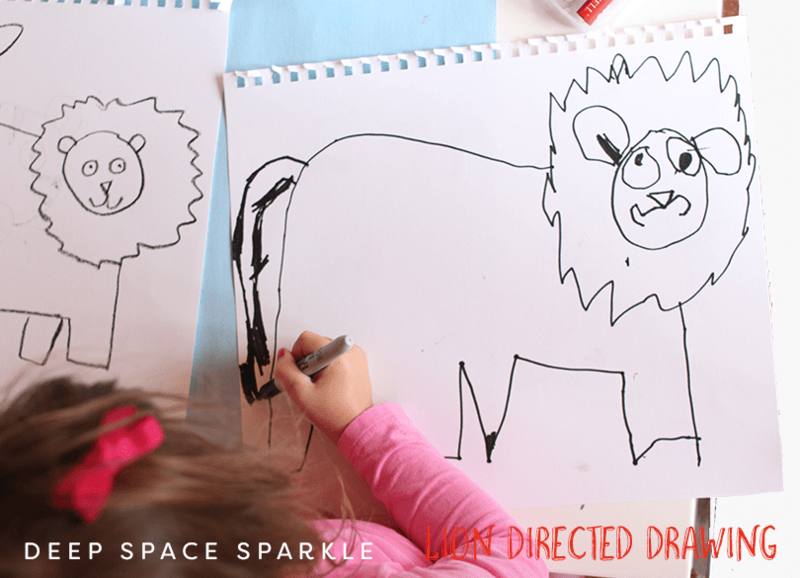 I began by showing her a drawing of a lion and asked if she would like to draw a lion, too. I received a big head nod and we started. I explained that I would show her what type of shapes or lines to draw and then she could draw them too. Draw a letter “U” for the lions face. Add two ears and a line to connect the two ears. Add the lions face by drawing two dots for the eyes, a triangle nose and a line with a curved line for the mouth. Draw a wiggle line all the way round the face. Draw the body by drawing a line towards the end of the paper and curved towards the bottom. To draw the legs, draw a short line to resemble a letter “L” and draw a line up to connect to the body. Draw the 2 front legs next and then connect the two sets of legs with a line for the belly. Draw the legs on the other side of the body last. While I don’t always recommend directed line drawings for pre-school children, sometimes it works out really well. My niece was THRILLED to have drawn a lion. She could see it come together and while she didn’t always know what to do when I referred to some letters or shapes, she stopped and asked questions when confused. The stories came when she did know what she was doing…the lion’s name, why his leg is pointed, etc. So darn cute. To paint the lion, I’d recommend cake tempera paints. They’ll offer good color without covering up the marker lines. Faber-Castell has connector paints which allows you to separate each color. I pulled yellow, gold and brown and offered a large brush and water. She freely painted the lion. After the paint dried (only minutes really), she cut out the lion by herself. I know many second graders who can’t cut very well, so if your PreK students struggle, it’s totally normal. If this is the case, cut out the lion for the children. Alternative color choices: Watercolor paints are fine but the paint color will be less saturated. I would avoid liquid tempera paints. Too gloopy for this project. Chalk pastels would be my second favorite choice. 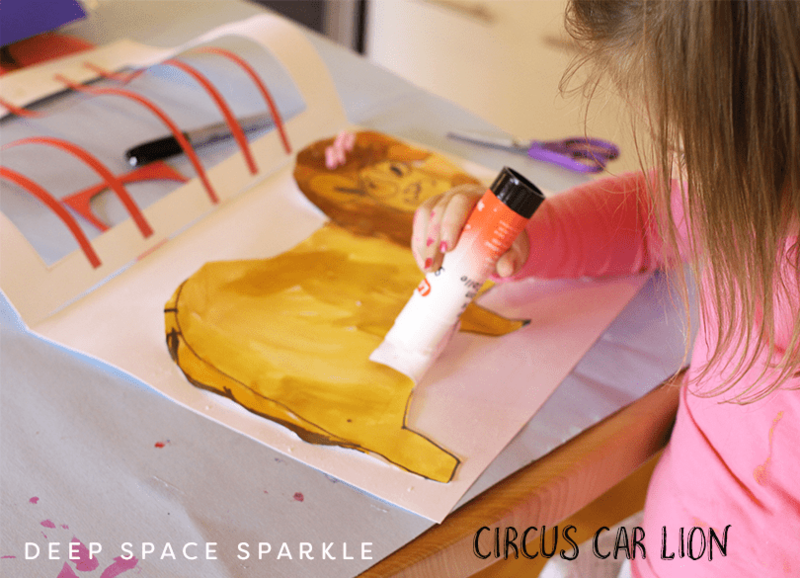 To make the circus car cage, you’ll need two pieces of white or colored 12″ x 18″ sulphite paper. Use a piece of 8 x 10 card stock or any type of smaller rectangle template and trace a rectangle onto one piece of paper. Cut out rectangle. Tape the two pieces together along the top length. Open up flat. To add the bars and wheels, give child access to a tray of skinny paper lengths. I cut 5-6 pieces about 10″ long. Use tape or even a glue stick to adhere bars to INSIDE of cage. Don’t use white school glue or you’ll need to wait for the glue to dry before proceeding. After bars are taped to the inside of the rectangle, it’s time to add wheels. 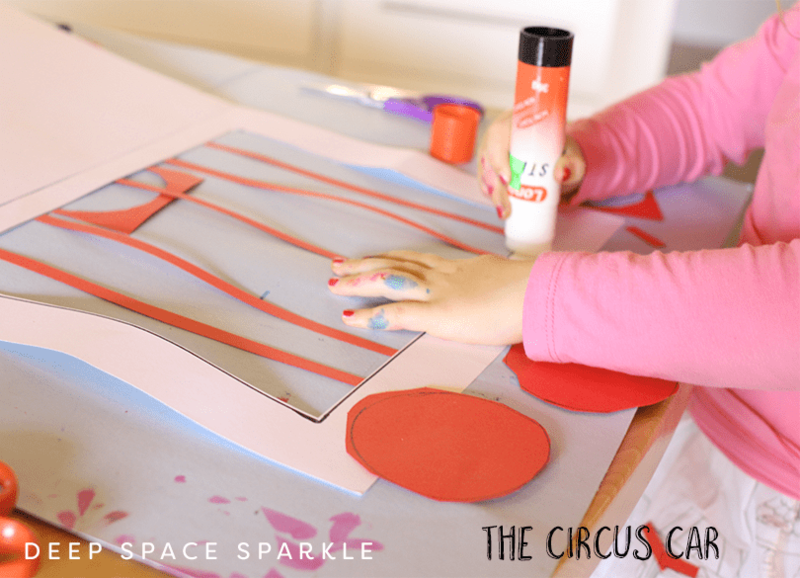 Use circle templates or a round container to trace circles onto colored paper scraps. I held a glass for Tori to trace and she ran a pencil along the edge. 4 year olds will need help with this. If you have a large group of 4’s, you may want to place a pule of pre-cut out circles for the children to pick and use. Kinders will be able to trace an cut circles with only a bit of effort. Once the lion is drawn and the cage is created, it’s time to add the lion to the cage. My niece’s instinct was to smear glue on the cage, not the lion. This is fine, but the glue will stick through the bars. Instead, show kids how to apply glue to the back of the lion. Place lion in cage and close it up! 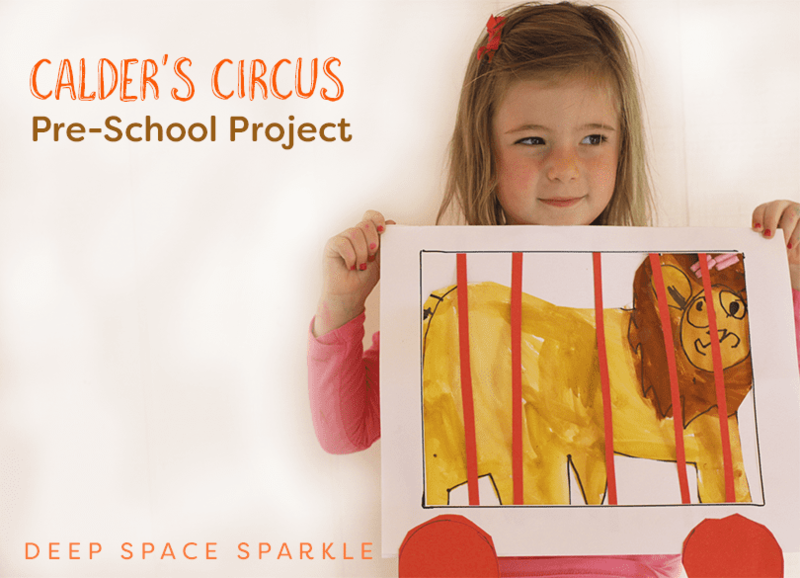 The Sparklers Members Club features the Alexander Calder Bundle in August 2017. 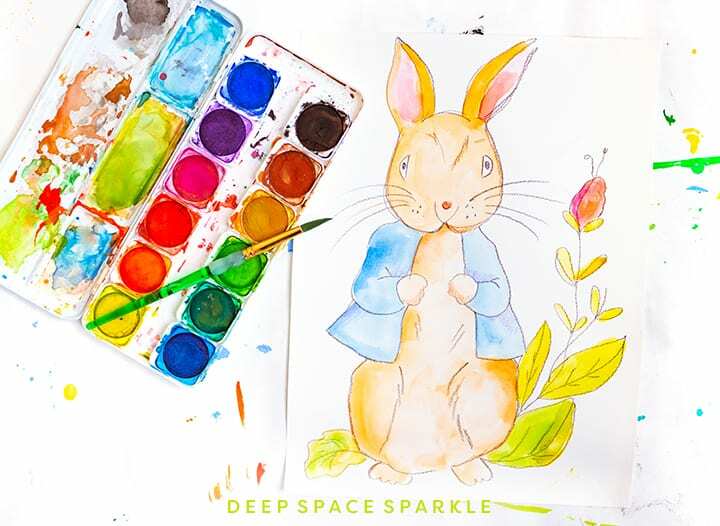 To access this and more art bundles, art resources & trainings for one ridiculously low monthly fee, download 2 free art project samples and join our membership notification list. Looks fantastic! 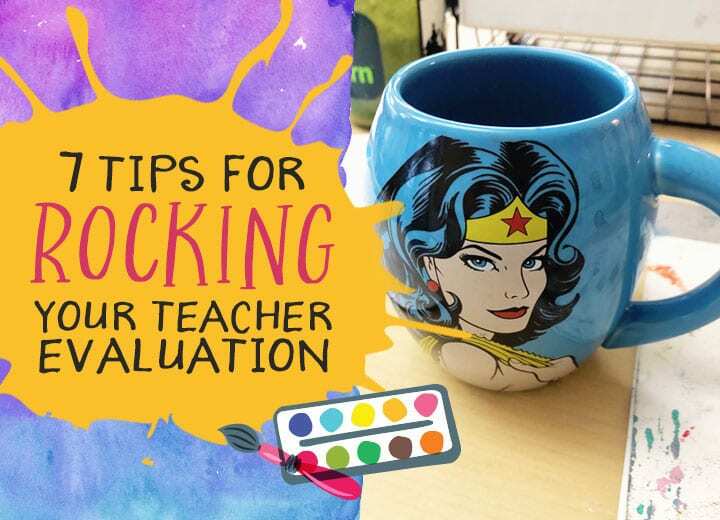 Your lessons are wonderful and I love that we have similar teaching styles. I have been criticized for using guided or directed drawing when teaching young children, but I think its the best way to introduce them to drawing. Thanks for your enthusiasm and support to art teachers… I just really want to compliment you on what you do. Have a great day! Thank you Laurie and I totally agree! As longs as you introduce a variety of techniques and styles for young children I don’t think you can go wrong. 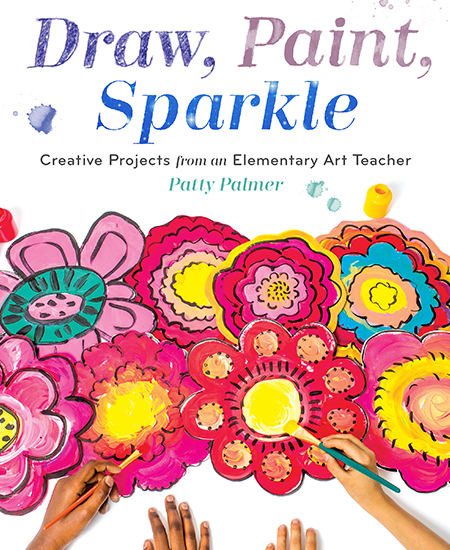 Fantastic and very exciting project for prek students. 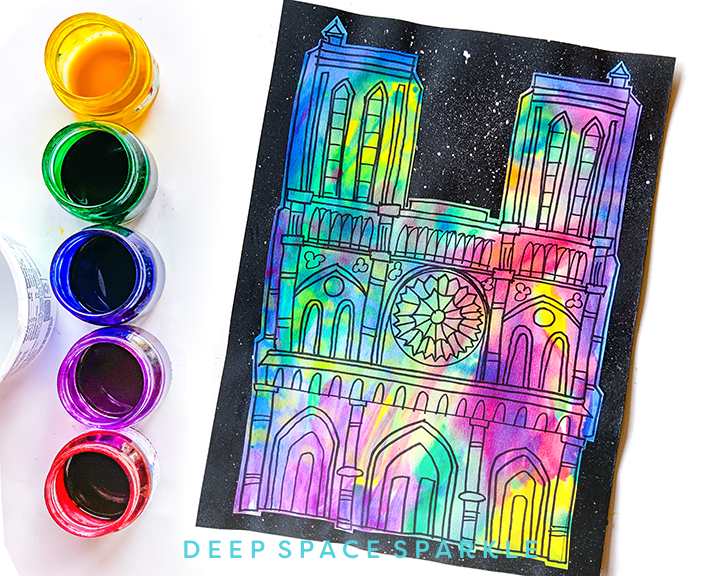 Combination of drawing painting and cutting is a wholesome art project for the little hands and minds whose focus can change very quickly. I think it is a pretty successful art project to do with 4 and 5 year olds. Would love to try it. Thank you this looks like so much fun! I am excited about this project. 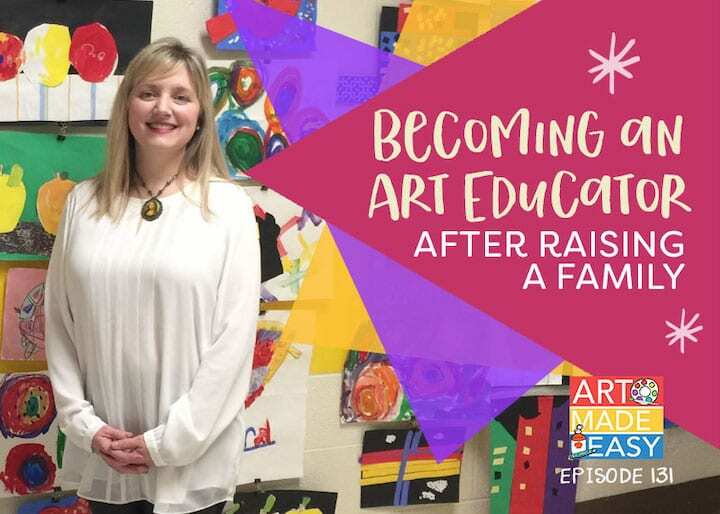 I have been teaching 1st thru 8th grade art and I now have Pre-K and Kinders too. 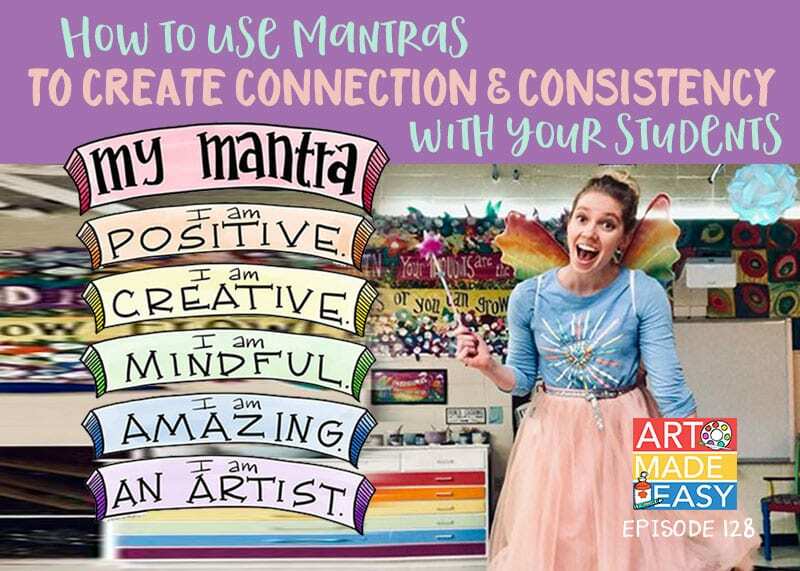 I was a bit worried about trying to find cool “Art” projects verses the “Craft” projects 0their teachers already do with them. So many things for pre-k and Kinders on Pinterest etc, are not so much “Art” as they are “Crafts” and my administrator and parents want projects that are “Art Evident” and this one definitely fits the bill! Thank you! It wasn’t until I read Mona Brooks book a few years ago that I even felt like I could do directed drawing with kids. I was taught in Bank street (if you havent heard of it ..its a very progressive Teachers college in NY) where this kind of drawing was frowned upon. I have incorporated a lot of this type of drawing into my teaching but I still get this queasy feeling when all the kids work basically looks alike and I try to give as much choice as possible when doing this. Do you ever come across this issue and try to deal with it? Or do you just allow for the directed drawing lessons to teach this skill and don’t mind when kids work looks all pretty much the same? I love this lesson. I’ve taught many lessons from Deep Space. They were all successful because of the clear and simple instructions, coupled with pictures of the creative processes and final example. Thus really helps! Do you visit schools to present lessons in person of consider a virtual lesson via skype. 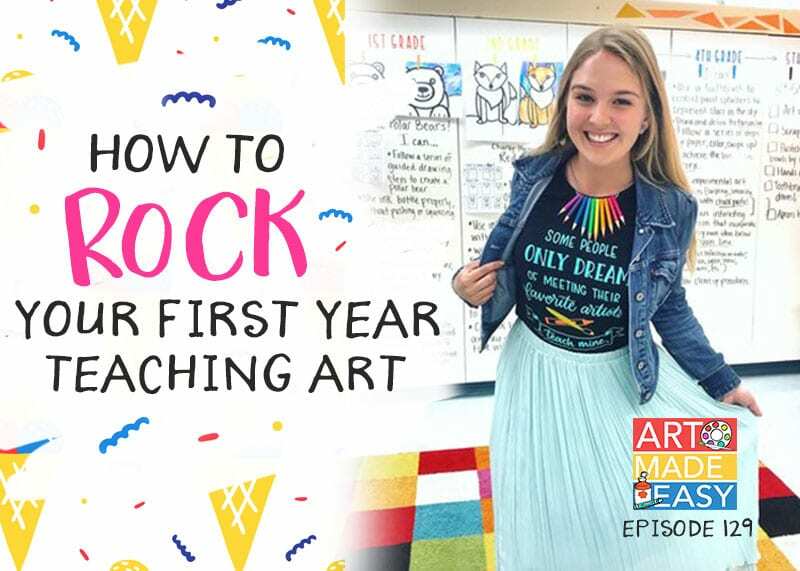 I’ve always wanted to team teach with an expert art teacher! My curriculum this year will focus on art and science. Also, I do an in-person workshop in Santa Barbara every summer. It’s fantastic idea,very innovative. If u have any idea about clay craft n pottery lesson plans or any link related,please share it.All d best! Thank you for this! I teach in a low-income K-6 school where a lot of my little ones haven’t attended pre-K, so they’re about at that level when they get to me in Kindergarten. I can’t wait to teach them this lesson! I can’t wait to try this with my 4 & almost 5 year olds! 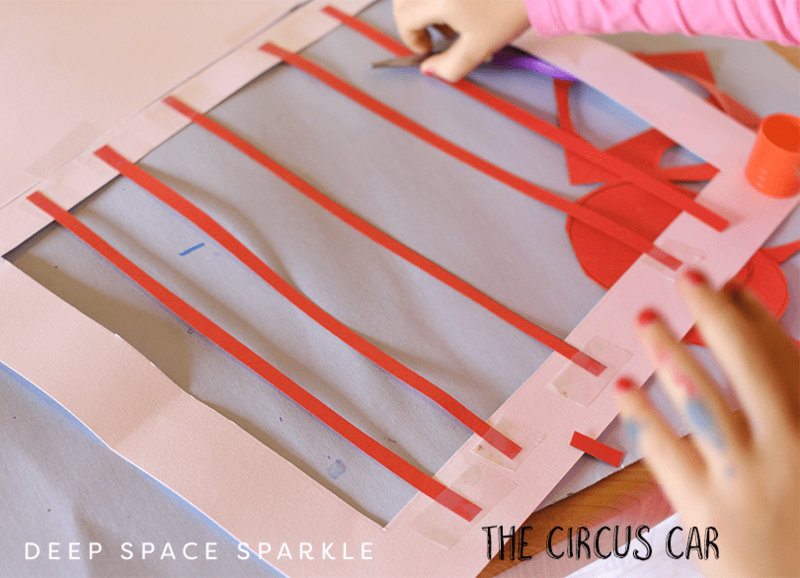 I’ve had the book Sandy’s Circus for a long time now and can see that this project has legs! We’d finish it in about 2 sessions I’m guessing. Love this!! 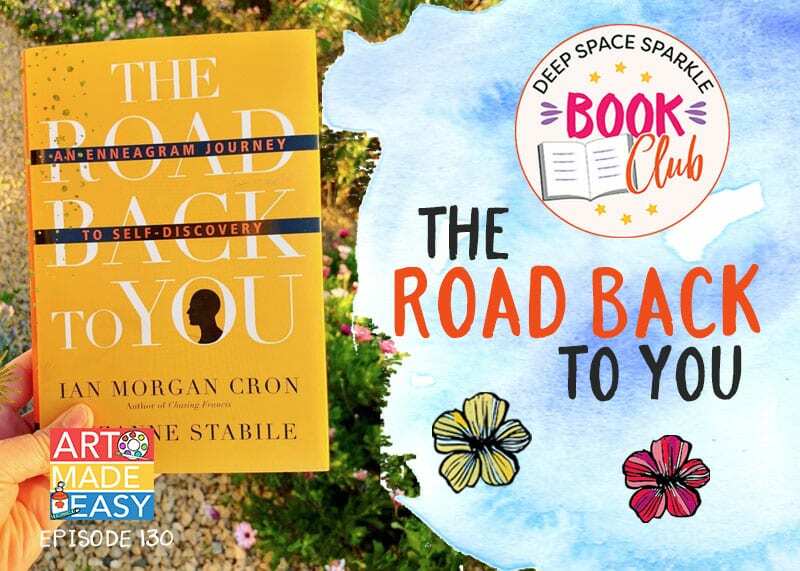 Can’t wait to have you in our group! Planning to create Calder inspired works with all grade levels so thrilled to find an accessible project for PK! Thanks!! 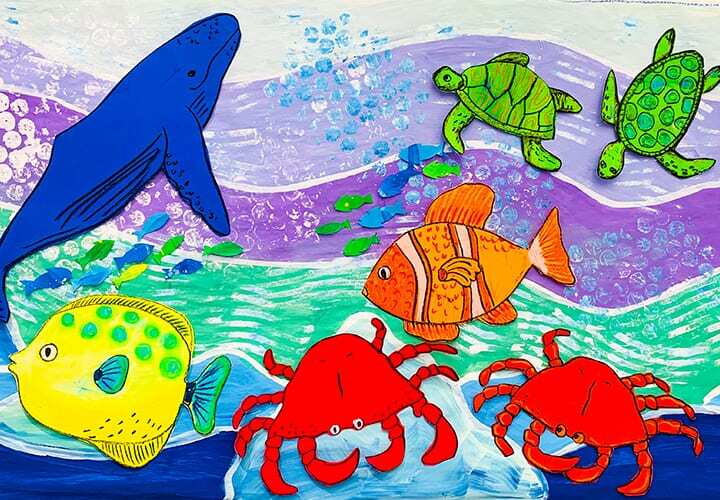 I used this project with my Kindergarten and 1st graders and they loved it! I was hesitant about the directed drawing aspect but found that the lions we’re all unique and those who struggle with drawing were thrilled with how great their lion looked. Looks great! I might even use this for grades 1-3.